November 2 , by Mardi Robyn. In this tutorial Amy shows how you can create a stylishly cute bracelet using the new line of decoupage supplies by Martha Stewart. 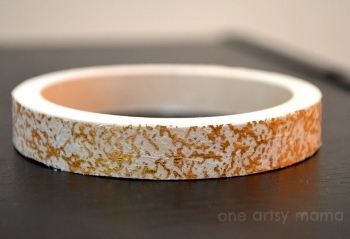 See how she did it in her tutorial Gold Speckle Bracelet. Just had a look at the tutorial and its amazing what you can come with. It’s not my cup of tea but well done.